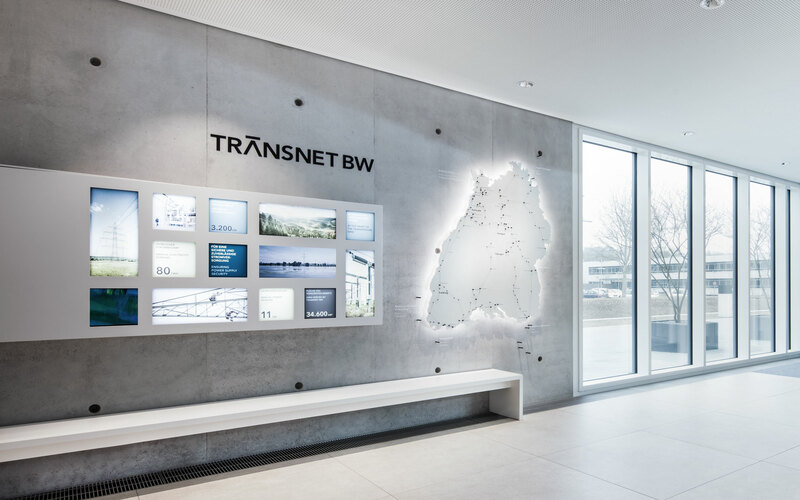 DIA – Dittel Architekten and die wegmeister agency have created a new interactive world of experience for visitors to the new TransnetBW main control centre building in Wendlingen. The aim of the concept was to illustrate and bring to life the complex contents of the transmission system operator. 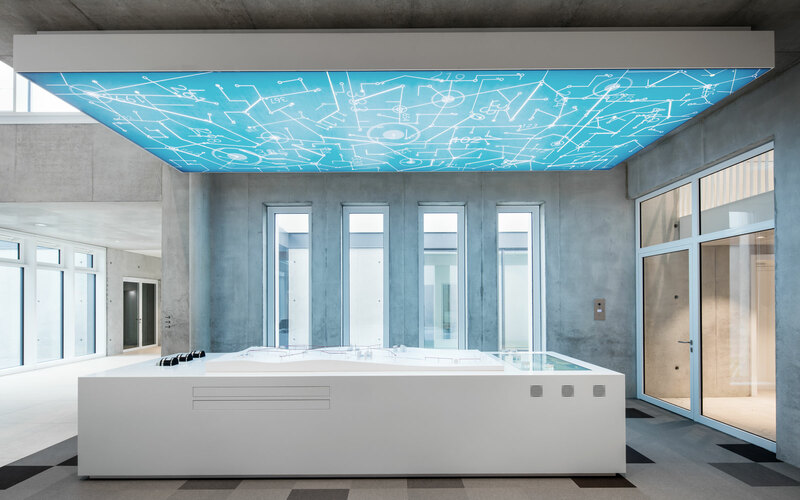 The focus was on playful communication of information in digital and analogue form, the realisation of the information to create a functional design concept as well as on an intuitive visitor orientation. 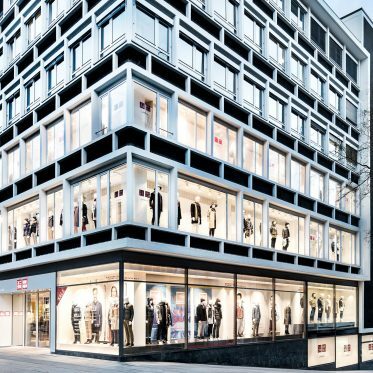 The architecture firm wma architekten whir mieslinger assoziierte is responsible for the new modern building. 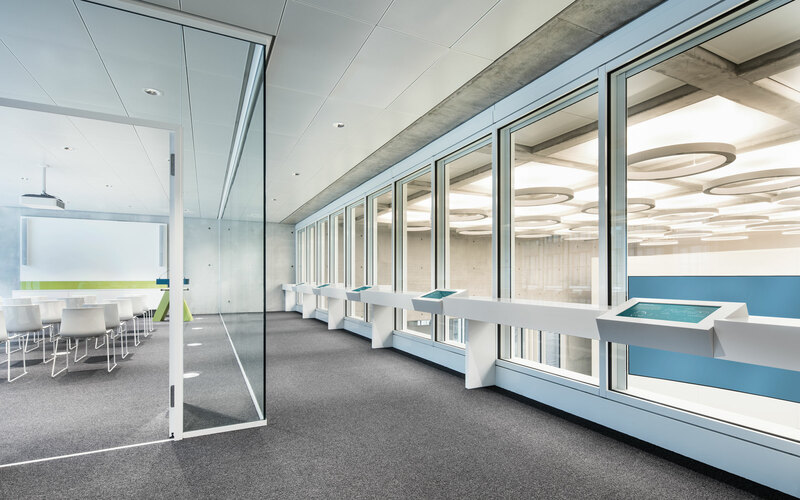 The visitors’ area extends over a light-filled passage which extends from the reception area to a gallery on the first floor and an interactive zone. 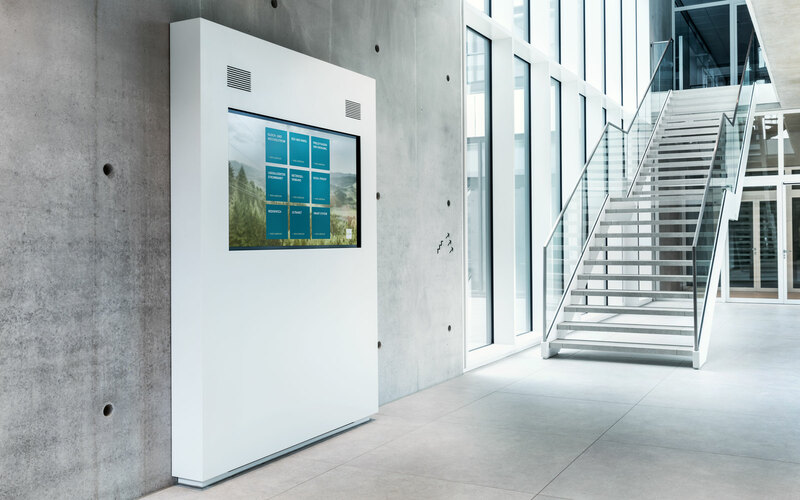 On this path, the visitor dives deeper and deeper into the subject matter, the highlight being an unobstructed view of the control stand with its 12-meter-wide, high-resolution monitor wall. Here, the system management engineers control the high-voltage grid for the control area of Baden-Württemberg, keeping it in balance in close cooperation with the neighbouring German and international control areas. 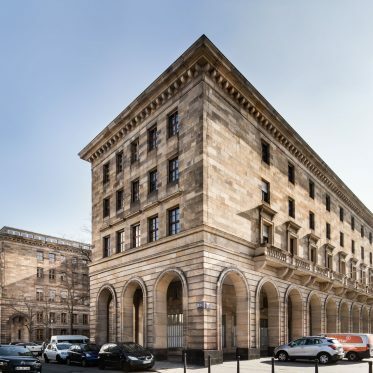 In direct reference to the architectural design of the new construction, the material and colour concept of the control and display elements is modern, simple and elegant: a sign in front of the building dovetails into the overall picture as a concrete monolith with metal framing. Cool metal letters can be found internally and externally in the logo and control system. 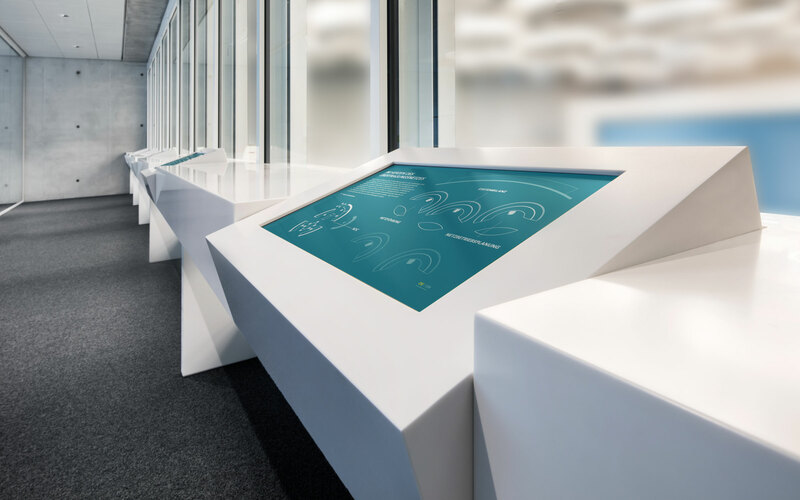 The individually developed white exhibition furniture is integrated into the space in a professional and functional way. 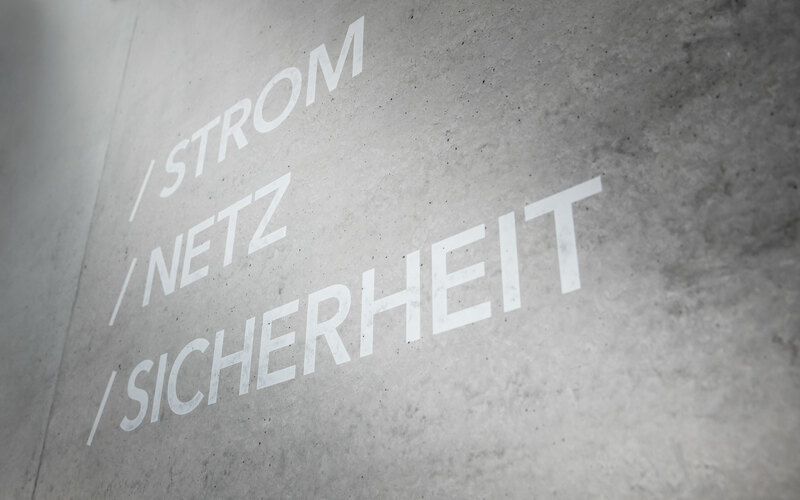 The fine white glaze of the company slogan »Strom | Netz | Sicherheit« (Electricity | Network | Safety) enshrines the characteristic structure of the exposed concrete. The reception area is a symbol of corporate identity: Corporate Wall, map, logo and slogan. 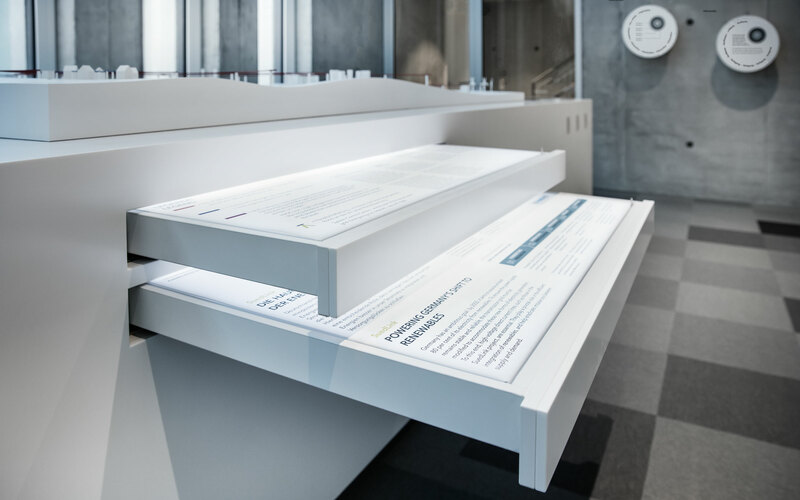 The content presentation of the Corporate Wall in text, image and video is done via a white frame mount with two monitors and printed backlit textiles. 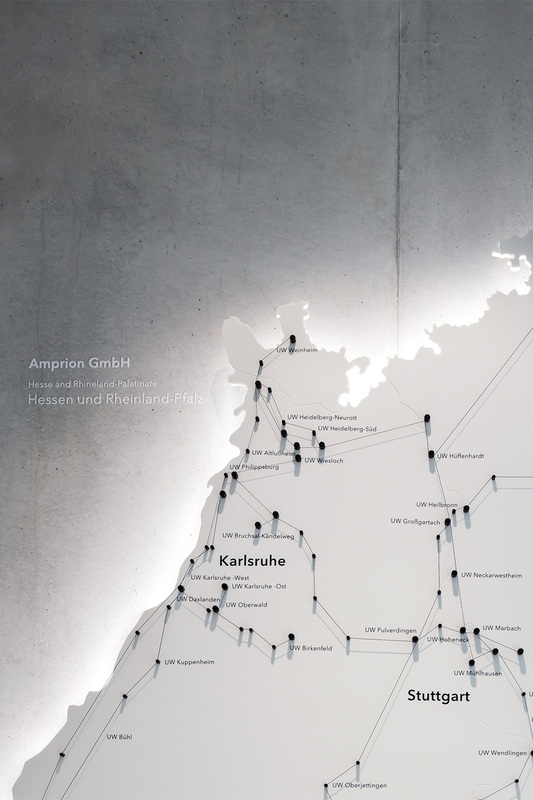 In a similar design language, the neighbouring finely milled wall map with point holders and bars shows in abstract form the transmission network of Baden-Württemberg and its connections at home and abroad. 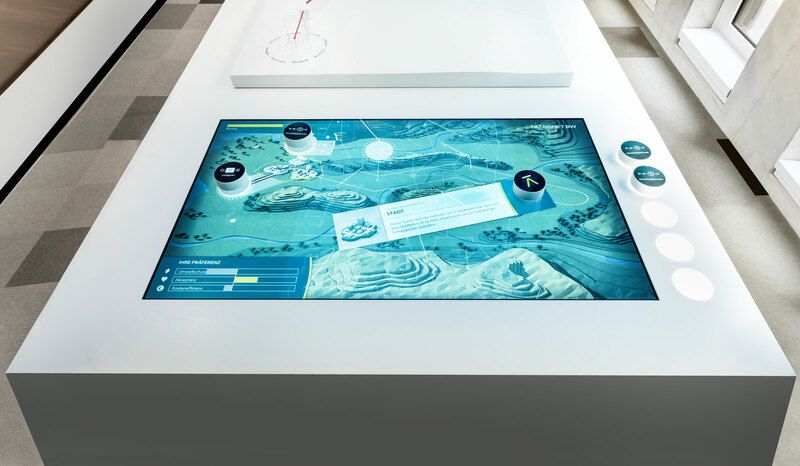 The core item of furniture in the interactive zone is a multifunctional, space-structuring visual display table with a tangible exhibit, topographical model and negative forms for the presentation of 525-kV underground cable staircase sections. 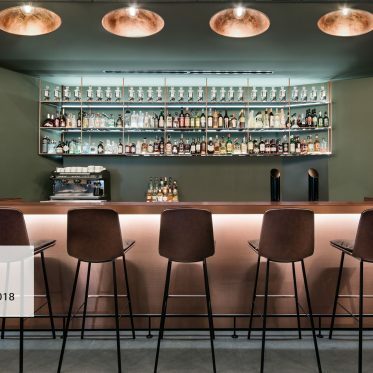 Thanks to a filigree design, the suspended ring masks seem to float in cable cross-sections in front of the wall: An appropriate presentation of the art of advanced underground DC cables. A ceiling art installation acts both as a light source and a work of artpiece of with backlit stretch film and an abstracted transmission system. 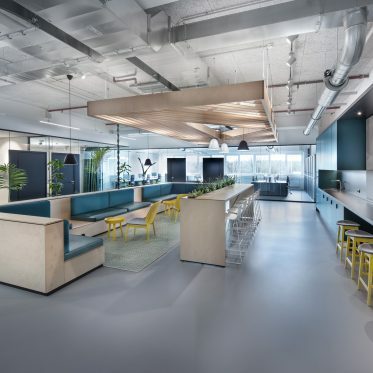 The furniture consists of a bench with a built-in projector for true-colour wall projection of an engineer interactively explaining his craft. In the gallery, the view of the control stand takes center stage. On a counter running across the width of the room, flush-mounted displays comment vividly on the work of the systems management engineer. 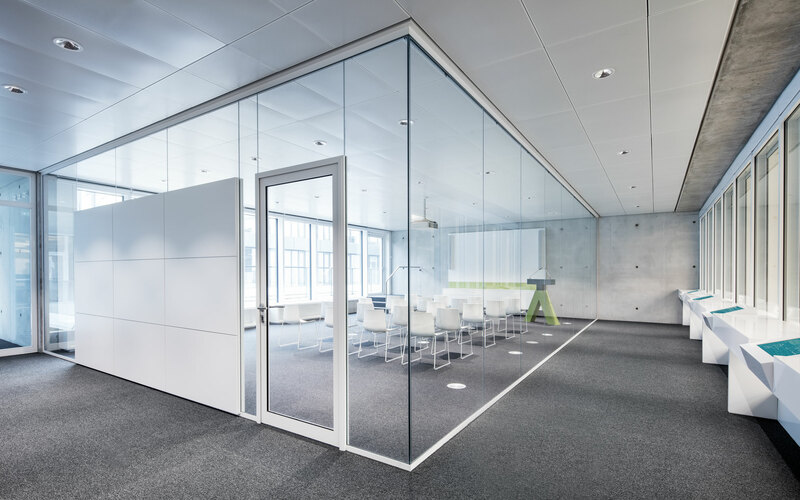 The glazed lecture room, designed by wma architekten, is likewise protected and provides visual references to the outside.